Finally, News about Nigeria's most anticipated movie- Wedding Party has surfaced. We can confirm that the part 2nd of the film will be released in December. A trailer which confirms that almost all characters in the first part of the film will be returning has also been released. New characters like veteran actress Patience Ozokwor and Chiwetel Agu have also been added. 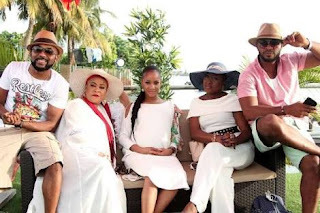 The Wedding Party 2: Destination Dubai will have its Lagos premiere on December 10, with cinema release on December 15.